10-millimeter ammo is everywhere, and this suppressed pistol is one of the best uses for it. The increased accuracy and more efficient use of AP means it’s great in VATS, especially if you’re orienting your perks toward that. The suppressor is also a nice bonus if you like to be sneaky. To acquire it, follow the Freedom Trail to hook up with the Railroad. Complete the Tradecraft quest with Deacon, which involves infiltrating an old Railroad hideout, and he’ll give Deliverer to you afterward in gratitude. 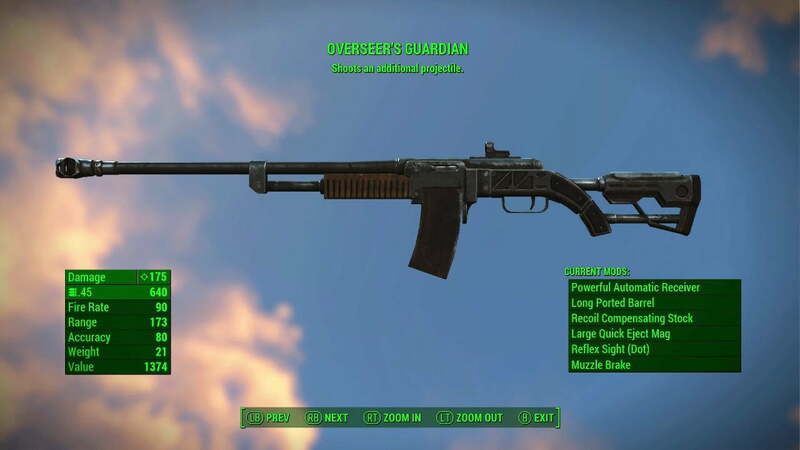 If you like rifles, then you want the Overseer’s Guardian. Every shot fired is actually two bullets for the price of one. Since it’s an otherwise normal, fully-moddable short-barreled combat rifle you can trick it out to do an absurd amount of damage. 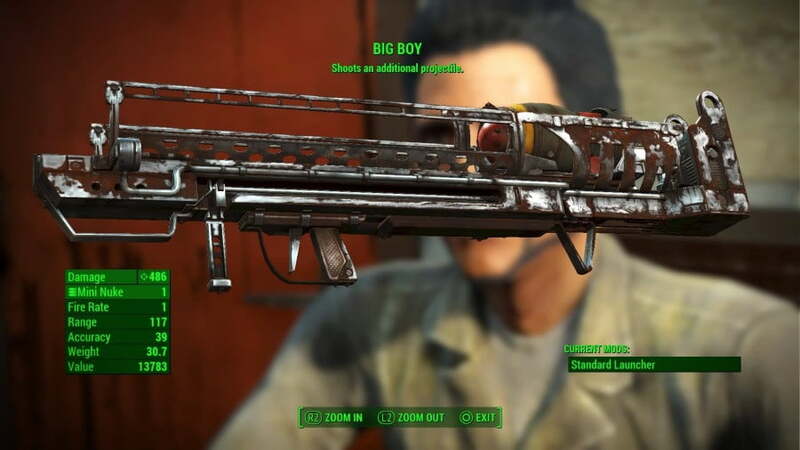 Invest in the Gun Nut and Rifleman perks and this gun can take out nearly anything in the Commonwealth in one shot. Alexis Combes sells the Overseer’s Guardian for around 3000 caps in vault 81, which is located east of the city, and south from the Beantown Brewery. A rarity among vaults, 81 is still an actually functional society, devoted to medical research. To earn their trust and gain entry you either need to give them three fusion cores or be a smooth talker. It’s just like a regular Fat Man personal nuclear warhead launcher, but it launches two nukes at once. Best of all, it only spends one precious warhead to do so. Warheads are rare and expensive, so more literal bang for your buck is a great deal. One tip for collecting more is if super mutant suicide bombers are charging at you, aim for their heads, rather than their bombs. 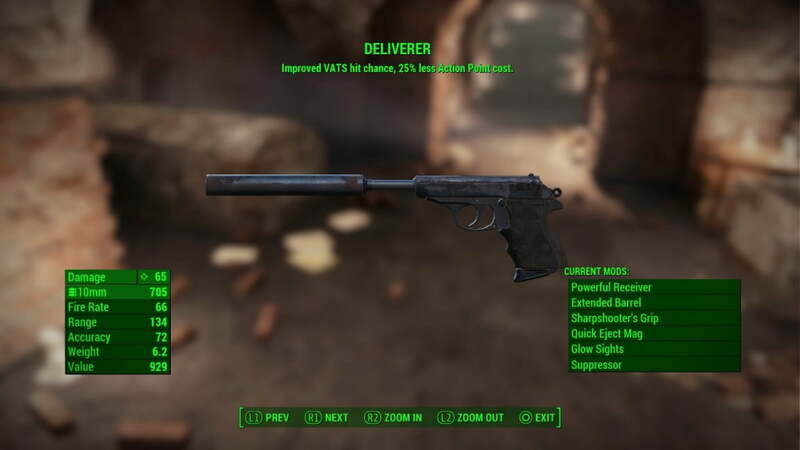 You can simply buy this from Arturo Rodriguez in the Diamond City market, but it’s stupidly expensive. Start saving early if you want it, and maybe invest in a few of the bartering-boosting perks. 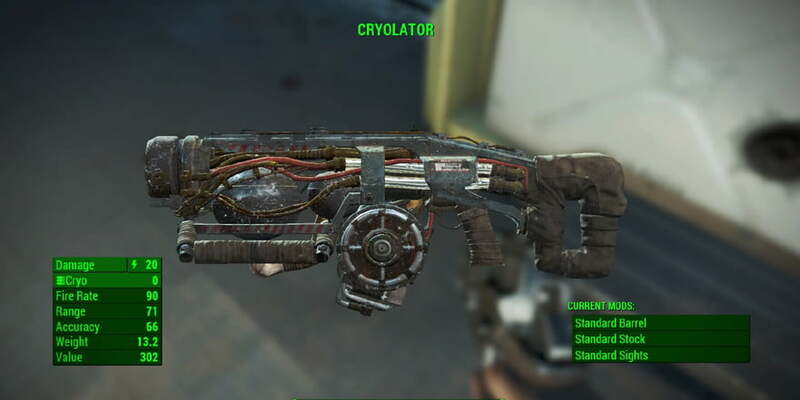 Based on the same cryogenics technology that brought you 200 years into the post-apocalypse future, this weapon will freeze many enemies solid with continued fire. It is essentially the opposite of a flame-thrower, casting cold out at a short to medium range. Tougher enemies will take longer to be affected, though, some are also completely immune. It comes with a generous supply of cryo cell ammunition, but finding more is extremely difficult, so use it judiciously. Because it is a weaponized version of Vault-Tec’s cryogenic technology, it is actually right at the start of the game in the overseer’s office for Vault 111. The case requires master lockpicking to break, but there is a known glitch that you can get it very early with just the help of Dogmeat, which we detailed here. Gamma weapons can be hit or miss, since (understandably) a lot of enemies have radiation resistance. This is the best gamma weapon since it also has the added bonus of delivering a telekinetic blast, which will knock your enemies on their butts like you’re Yoda. It’s a fun, powerful, and totally unique effect. The Artifact Gun is one of the possible rewards at the end of a quest chain for the Cabot family in Cabot House, south of Bunker Hill. The quest The Secret of Cabot House will lead you to the basement of an old insane asylum in the northern part of the Commonwealth, where you will quickly be faced with a choice. 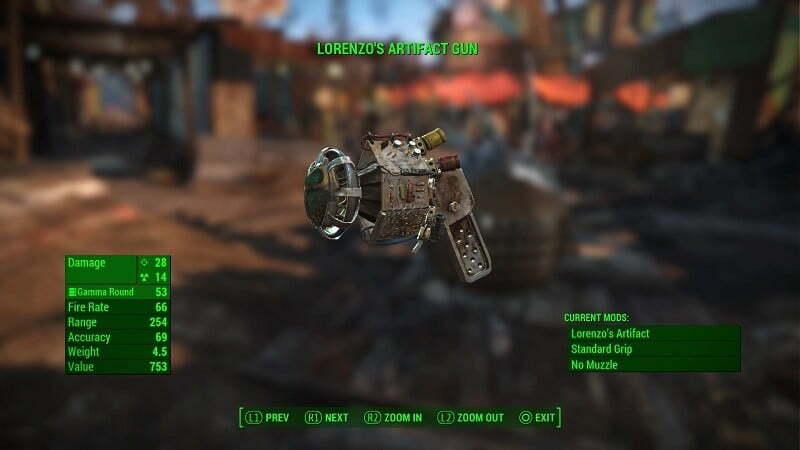 Help the son, Lorenzo, and in about a week’s time you can come back and he will have made the Artifact Gun for you.